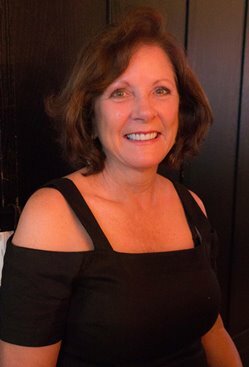 Hello everyone, I am Suzanne, the author of Picture Retirement. I am an active, healthy sixty-three year old, happily married woman with a positive outlook on life. My husband and I have been retired for nearly thirteen years. It is exciting to be going through this stage of life with my best friend and husband of thirty years. I sincerely appreciate being included in Leanne's guest post series and look forward to meeting some of you through her beautiful Blog. Every stage of life brings extraordinary challenges from being newlywed, to raising children, to this stage of our lives – retirement. Even so, my husband and I have always worked together to figure things out. That is exactly the approach we took when we realized that retirement meant different things to each of us. I have always had a lot of hobbies and quickly embraced the time to develop even more. My husband took a while to find his new “retirement identity”, so for a while, the road to compromise was a bit bumpy. Through trial and error we found a way to safeguard who we are as individuals by devoting time to both separate and shared interests. These days, we work together like a well-oiled machine. We love to travel, take photographs and sample all the culinary delights this world has to offer. 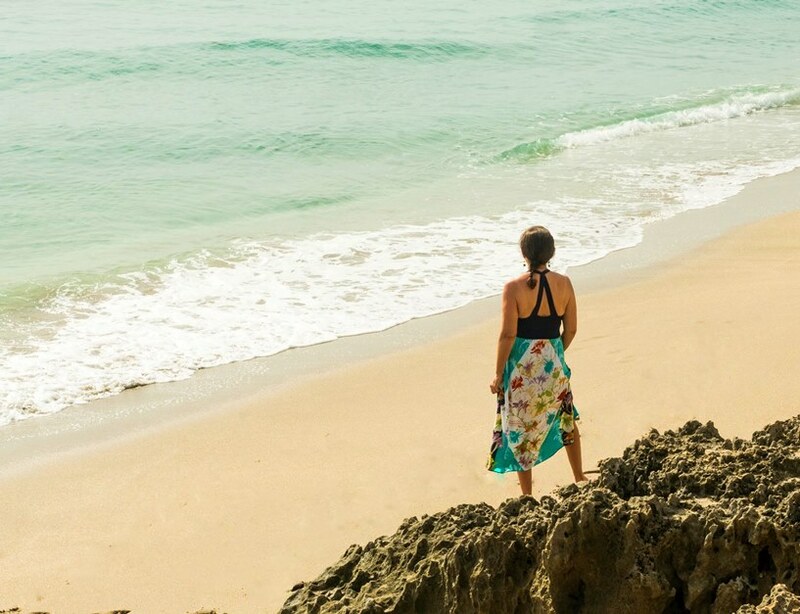 We love road trips and seeking adventure in my native state of Florida. Biking and kayaking are favorite outdoor activities, which also make it possible to enjoy an abundance of good food and wine when we travel. In between adventures, we live in an active community with a full calendar of events that keep us as busy as we choose to be. I serve on our community Women’s Club Board and volunteer at our local library. Both positions are flexible and accommodate spontaneity. I am a member of a book club that meets monthly, and I play Mahjong weekly with a group of wonderful women who make me laugh. I have a standing foursome for tennis once weekly and pick up an additional game when I can. Photography is my passion, so I devote a lot of time to taking classes, shooting photographs, post-processing and posting on social media outlets. My husband focuses on home improvement projects, daily walks and biking to keep his body in motion. He reads (non-fiction), dabbles in the stock market and plans our adventures to keep his mind sharp. We love planning and cooking meals together, hosting friends and spending our evenings watching sunsets at the beach. 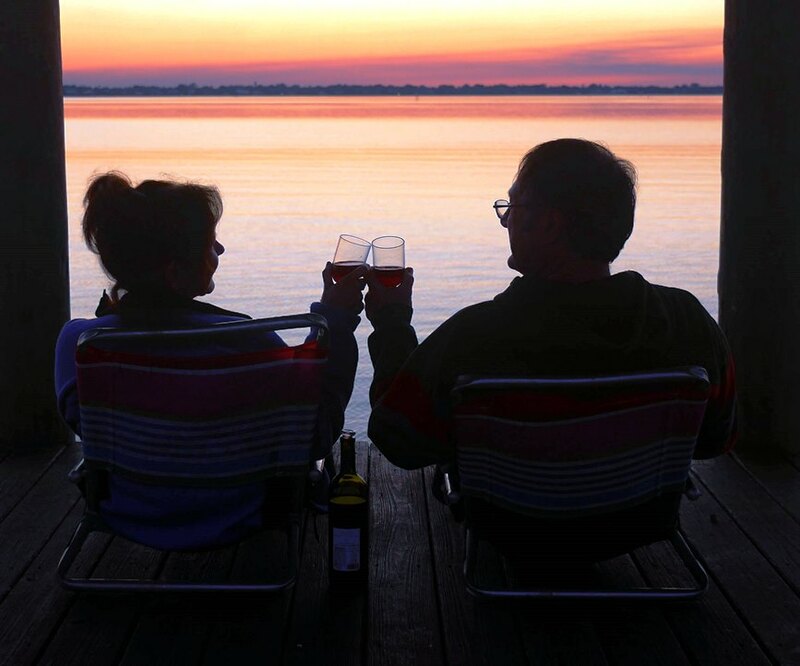 One friend recently referred to us as the Cialis couple; we took it as a compliment. Some people might call it luck that we found each other, but truthfully, it took a lot of trust, hard work, the ability to compromise and an abundance of love and respect to get to this place. As much as I adore my husband, he is not my other half, and he does not complete me. He complements who I am as an individual, and that is the message that I want to share with Leanne’s readers today. While we live very full, compatible lives, my contentment is not achieved from external "things and stuff", it is achieved from within and is an outgrowth of self knowledge and acceptance. It is important for me to be true to myself in all aspects of my life and resist outside influences including guilt, society, media, and the opinions of others. When I accept a new project, I need to fully understand my motivation, or at some point I will resent the responsibility. When I sense a friendship going bad, I examine why in order to support my decision to exit or ride it out. When I hear gossip or disparaging comments about someone I know, I make a choice to ignore it or take a defensive position at the risk of my own social standing. When my husband and I disagree I weigh the importance of getting my way against doing what is right for us. Trusting my own instincts is essential, but knowing when to exercise strength and when to accept vulnerability is equally important. All of these characteristics contribute to my claims of being an authentic individual. It is not easy, and evolving into the person that I want to become is an on-going commitment. Being able to generate my own sense of joy through expressions of gratitude and conscious, in the moment living, keeps me both grounded in reality and expecting great things at all times. Having a partner who mirrors my values, interests and goals for a contented life is a special blessing that I am forever grateful for. 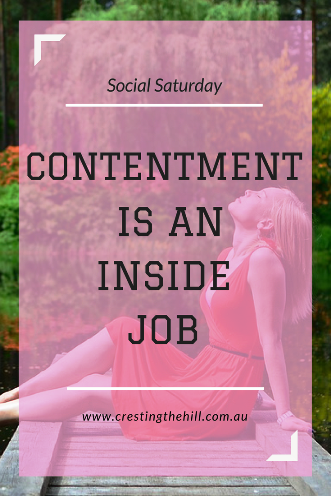 As the cliché goes, “happiness is an inside job” and whether you are going through this stage of life as a single or with a partner, contentment is entirely up to you. Hello, I'm Suzanne. My husband Malcolm and I retired in 2006 at age 50 and have been perfecting our Florida lifestyle since that time. Our blog is reflective of the shared interests and hobbies that enrich our days and provide structure and fulfillment to our retirement journey. Your contentment is obvious in your writing. So is the fact that getting to this state took work. Thanks for sharing that, and especially for your comment that your husband is not your other half and he does not complete you. As a single woman who is used to hearing married friends go on about their 'better half' and how I need one of those too, I appreciate hearing from a married woman who is complete in her own right. Leanne, thanks for hosting Suzanne. Your social Saturday series continues to inspire. Hi Karen, I think that comment will resonate with a lot of women. We are starting to realize that our worth is not tied to someone or something, but inside us. And yes, it takes work to peel back the layers and find that true, authentic self. Next time your friend talks about her "better half" ask her, in your most polite little voice, if she considers herself a half person. :-) Have your camera phone ready to catch that expression!! Suzanne, thank you for a great post that keeps it real. I have always said that my husband does not complete me but complements me -- nice to hear someone else who gets that! Kudos on your early retirement. I'll check out your blog, too. Hi Janet,it devalues both of us to be considered as half a person, and who would want that.Thanks for your comment. I am truly grateful to Leanne for allowing me to be here today. I love that Suzanne's post reflects how I feel about marriage and doing life together Janet - it's so balanced and I guess that's why they're content - unreal expectations are the killer of contentment IMHO! Hi, Suzanne - This post is filled with many wonderful insights. I agree that it is often amazing how much hard work, trust and compromise can be found behind luck!! Hi, Leanne - I have thoroughly enjoyed your Saturday Series Posts. Please keep them coming! Hi Donna, I appreciate the wisdom in your comment regarding hard work,trust and compromise. There are a few folks in my circles who insist on reminding me of how "lucky" I am at every opportunity.I always smile graciously, but inside it makes me cringe a little. Thanks for leaving a comment at Picture Retirement today. I have missed your posts and will pop over to your site and catch up very soon. I think because I was single for so long between marriages that I never looked to my husband to complete me, I am pretty good all by myself. lol I get tickled when I am talking with folks who didn't know me when I was single, they have a totally different idea of who I really am. Because of my husbands illness our relationship has changed not for better or worse just different than it was. I think the biggest thing we need to learn to have a happy Midlife and retirement is to find contentment in ourselves and then bring that to the table with the people we choose to have in our lives Victoria - often other people don't see that - it's the behind the scenes work that makes us "lucky" isn't it? Hi Victoria, so many women of my generation went from a Father to a Husband without finding their individual identity first. Congratulations for achieving that sense of self early on. I am sure it has contributed greatly to your contentment with life and ability to face challenges. I am so grateful to our hostess for creating this forum in which to share our thoughts about "real life." So many of us think that a wonderful relationship just happens. You're so right about the work! And the rewards! Hi Diane, going through life with someone who mirrors your expectations is the best reward, isn't it? Thanks for your comment. I think there's a lot more work in the background of a successful life and a successful relationship than we're often given credit for Diane - not throwing in the towel, but pushing through is definitely the secret. So wonderful to meet you Suzanne. I found your insights into what it takes to become your authentic self very inspirational. I am on the same journey... evolving/growing into the person I want to be, searching for self-acceptance. I also found inspiration in your comments about you and your husband being different in how you view retirement. My & Hubby have similar differences and I am working on accepting those differences! Thanks Leanne for introducing us to Suzanne! Hi Patricia, acceptance and compromise contribute greatly to any relationship, but they are especially valuable when trying to establish your own identity within a couple. Retirement just seems to illuminate those differences in a way that we might never have considered. Thank you for commenting and best wishes for your personal journey into discovery. Pat my husband and I are chalk and cheese - I often wonder how we'll go when we both retire full-time. I think that being able to function as two separate people who come together for chunks of time really helps - we're not joined at the hip and we don't stifle each other and I think that's what Suzanne has found works for her marriage too. 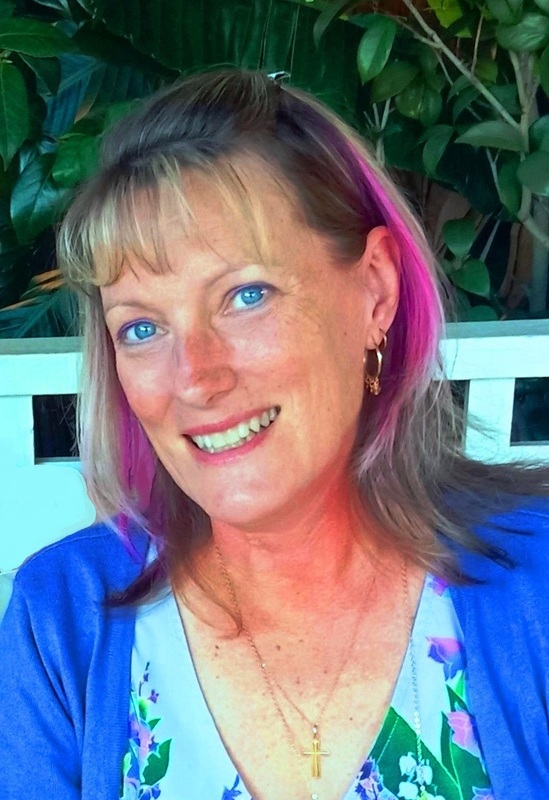 Hi Sue, this post was a "departure from the norm" for me and I have thoroughly enjoyed interacting with and learning from Leanne's readers.I felt almost guilty in the beginning because I was always busy with outside interests. I did learn to cut-back,(compromise) explore common interests (we took up golf together) and stop worrying that he would not find his way. I am happy that this piece gave you a bit more insight into the person behind the camera.thanks again for your encouragement and support. That's what I loved the most about Social Saturday Sue, getting a little insight into other bloggers and seeing what they choose to share. I have really loved this post in particular because there are some great insights into how to make marriage work when you're diffeent and sharing more time together in retirement. I think we choose how we handle different challenges Brenda - some choose to give in too easily and miss out on so much. Choosing to work your way through to a great outcome is definitely my preference and Suzanne has done that brilliantly IMHO. Great post. I tend to think that happiness is something we come across when we're pursuing something else and, as much as I adore my husband - who I've been with for nearly 30 years - he isn't my other half or my better half. He's my partner and together we work well. Jo, I could not agree more. Malcolm and I celebrated 30 in May and are still best friends and partners in life! Thank you for your comment. We're up to 35 years and still surprise each other sometimes! Opposites definitely attracted in our case, but that's what adds the flavour to a marriage isn't it? I love the idea of a shared husband and wife blog! Thank you Michele. He hasn't written any posts for it yet, but we are working on that. Mostly he provides details that I forget!! !